It is a type of single Carrick bend that consists of a couple of half knots, one tied above the other. It is thought that the name originated from its use of tying the necks of sacks in granaries. Other names include booby, calf, lubbers and false knot. 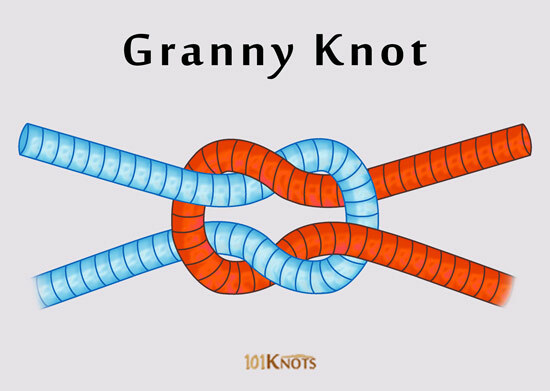 It is mentioned in The Ashley Book of Knots. The ends are almost perpendicular to the standing part. Carrick Bend – More secure. Forms the basis of the surgeon’s knot that employs an additional twist in the first throw. 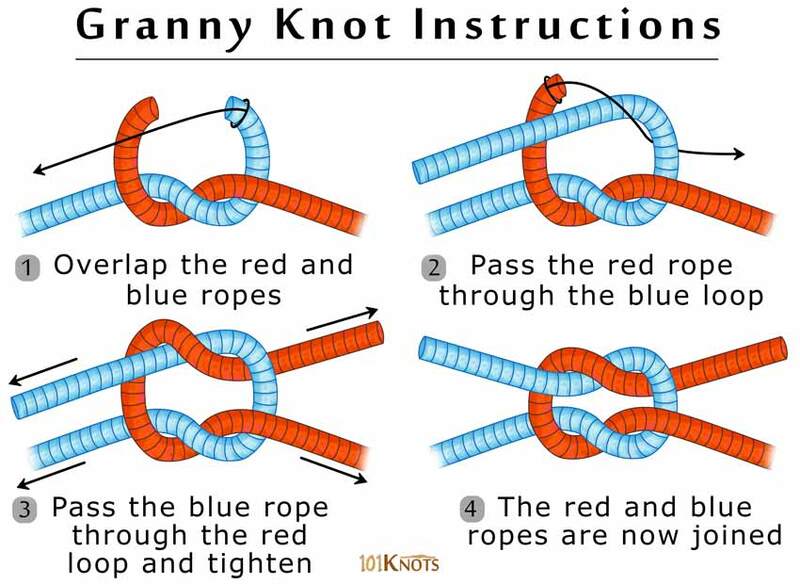 Teaching children the basics of knots. Secure a line or rope around an object. Making macramé bracelets, rope rings. To tie up parcels in five-and-ten-cent stores formerly. To loosely hold craft items in place temporarily before applying glue, staples, pins etc. Creates a great hairstyle. Allows you to tie your hair into a beautiful bun or just leave it as is. 1. Square (reef) knot – Superior.